After wearing light parkas and leather jackets in the past season it's now time for winter coats, which are by far my favourite winter wardrobe item. They keep you really warm and still complete your chosen outfit. And because it gets really cold in my area I need to invest in a very well made and warm coat. But choosing a right coat is not an easy task. You have to be really careful about your body type so that you chose something that suits you. You have to be careful about the length, colour, size, fit etc. I always want to buy statement coats because they make the whole process of choosing an outfit very easy. I want to buy a statement coat which I can wear with pretty much everything. I have been looking for capes, robe coats and really over-sized coats, which are now on trend. My favourite colour to wear has always been black but lately I have been leaning towards more white, off-white, grey and camel colours. After weeks of research I found a great selection of coats, which I want to share with you. 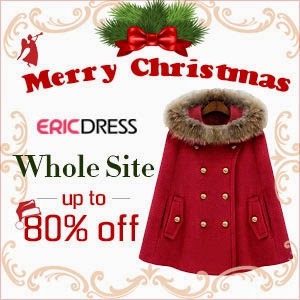 With the help of http://www.ericdress.com/ I made a selection of my favourites, but now I need your help. I have been really into faux leather handbags with a simple/classic shape and a black&white/pastel colour. Which one would you choose? Let me know and help with my decision by commenting below.